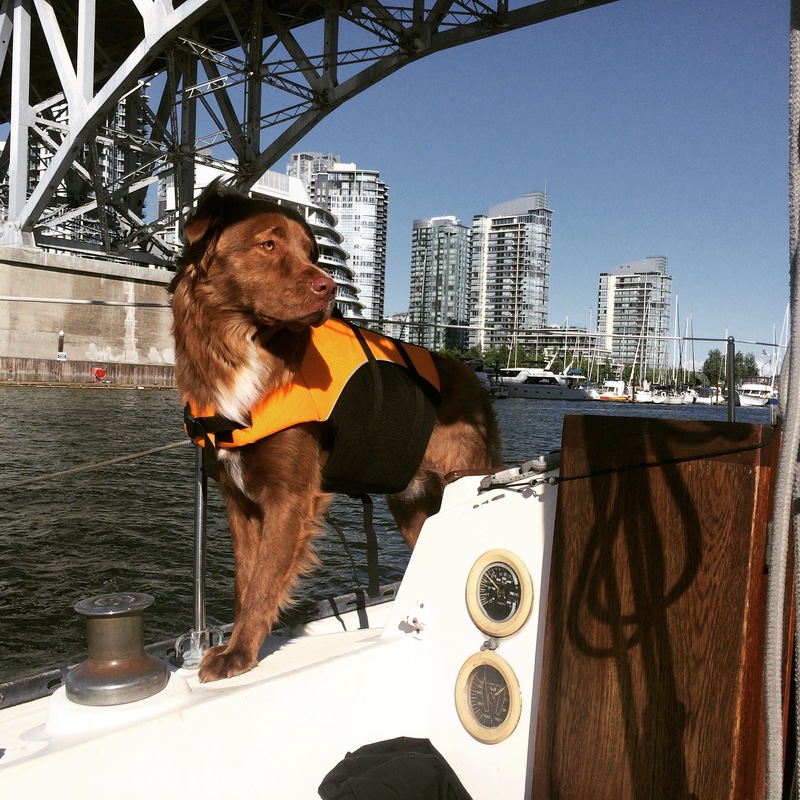 After a busy week, we decided to take the weekend to relax by taking Griffin out for our first sail! For anyone who hasn’t been sailing, I don’t even know how to describe the sense of complete freedom when you first put the sails up and turn the motor off. At that moment, it’s just you, the boat and the wind (well, in my case, Alex and Lenny too). 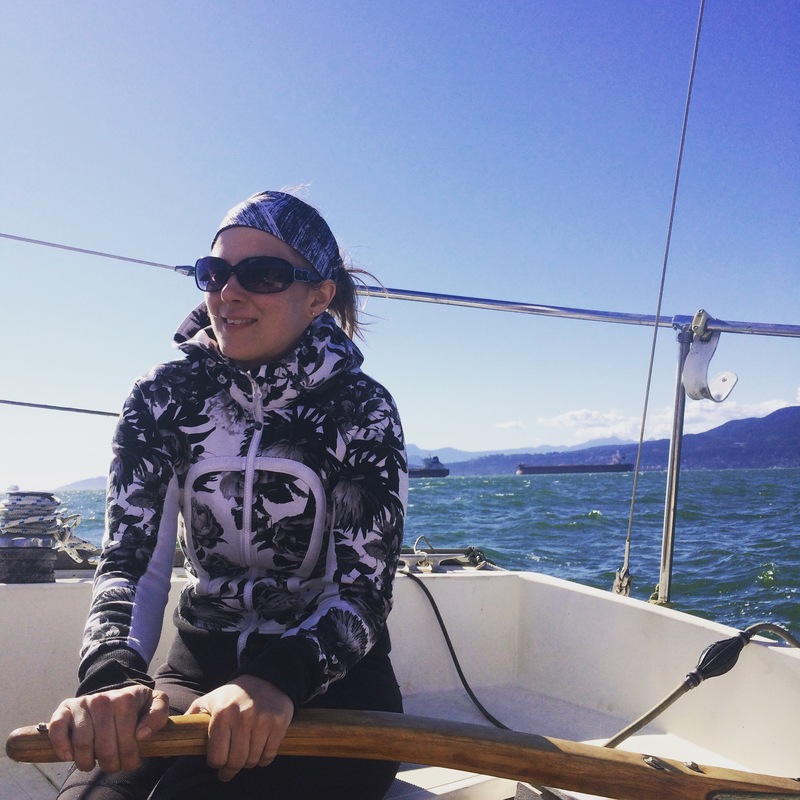 We couldn’t have asked for a more perfect afternoon, and decided that rather than go home, we would anchor in English Bay for the night. 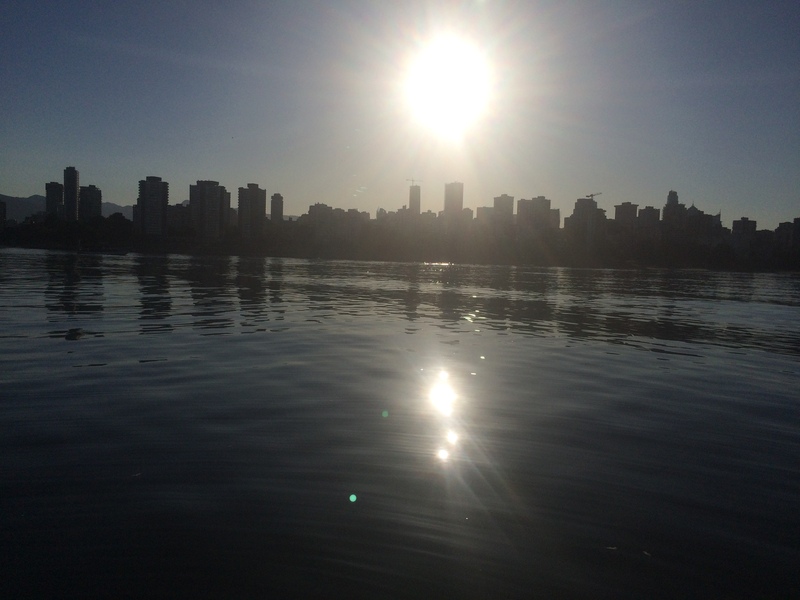 We toured the bay and went up into False Creek before settling on anchoring in a slightly less busy area. We had the perfect spot with a lovely view, and curled up in the boat with a nice home cooked meal of pulled pork and nice wine. 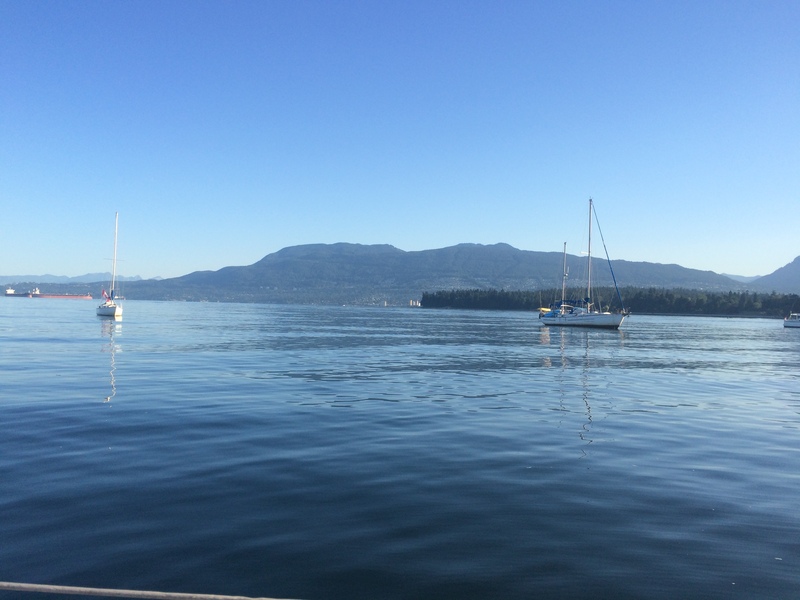 Sunday morning we woke up to a beautiful sunrise over Vancouver, and sailboats gently bobbing on the waves. It was an absolutely perfect weekend. As much as we have already learned that there is a lot of hard work involved in this venture, the weekend served to show us that this was exactly what we both needed. There is no doubt in either of our minds that this was not just the right decision, but that this lifestyle is exactly what we both need at this point in our lives. 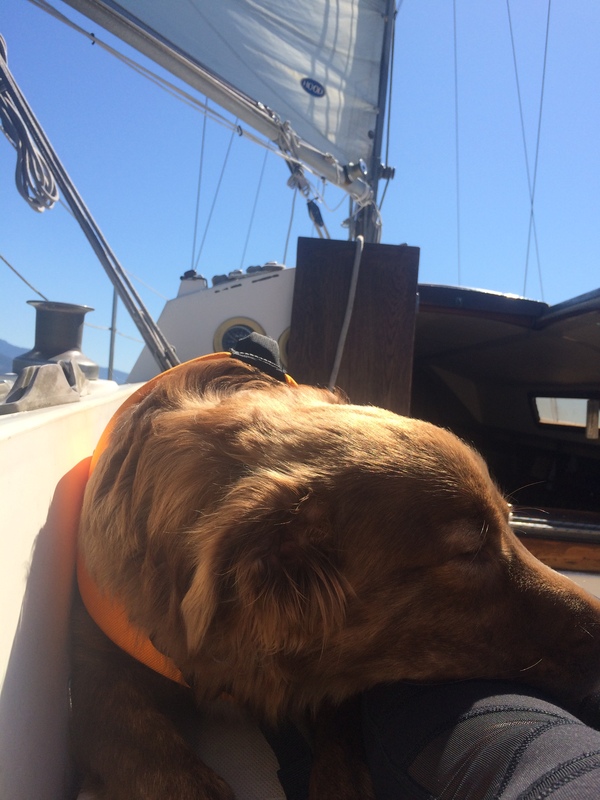 This entry was posted in Uncategorized and tagged adventure, boats, dog, learning, Leonard, peaceful, sailing. Bookmark the permalink.